We are widely appreciated by our customers for offering a range of High Speed Long Life Oxygen Plasma. These heavy-duty production tools lower the operating cost using cost-reducing long-life technology for dramatically longer consumable life. The high speed long life oxygen plasma offered by us is used or cutting mild steel, stainless and aluminum up to 75 mm (Y) thick for production environments. Following are the features of the plasma offered by us. We are a prominent manufacturer and supplier of Hypertherm Consumables. These consumables offered by our organization are manufactured in accordance with the international quality standards and have technologies to increase the performance. 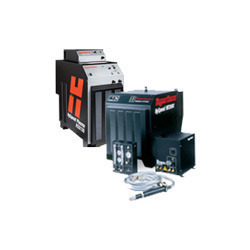 As a result, these hypertherm consumables ensure optimal performance and are widely used for hypertherm plasma cutting system. Moreover, our organization is actively engaged in offering unmatched services and training to our customers. 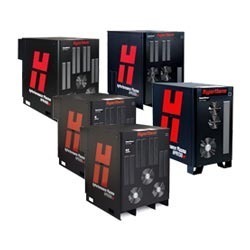 Owing to our vast industrial experience, we are able to offer a quality range of High Performance Plasma Systems. Our firm manufactures these systems in accordance with the international quality standards. These plasma systems reduce the operating cost by one half and thus, deliver cut quality of high definition. The high performance plasma systems offered by our organization enhance the overall production performance using high definition. Longer working life, power pierce and true hole technologies are the proven techniques by hypertherm. To cut, bevel and mark metals up to 160 mm (6-1/4') thick, the offered range exhibits unmatched process flexibility. Looking for Hypertherm Products ?